The Daily Believer is your daily dose of whAUtever, a dose that grows by the second, minute, hour, who knows. Maybe there’s something going on tonight at the Gnu’s Room. Maybe there’s a volleyball game. Maybe there’s some update to The War Eagle Reader you need to know about. 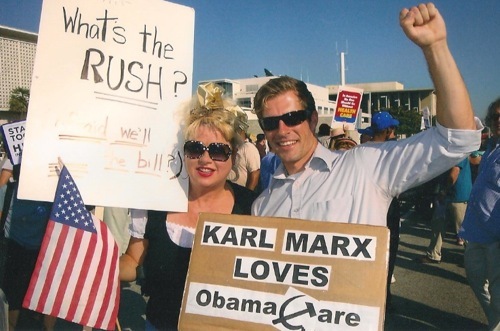 Maybe last night’s episode of House referenced Bo. Maybe Pat Dye’s Pants have no reserve on eBay. In other words, we’re live-blogging Auburn – town, gown, idea – and we need your help. Are you putting on an event? A show? Let us know. Know about one? Let us know. Spot Chizik at Byrons? Let us know. Did you see that episode of House? Let us know. Write to [email protected]. *** I’m having my breakfast with The Hag this morning (1981 concert at the Opry. Sign up at that site for some great concerts. You won’t regret it.) “Silver wingsssssss/slowly fading out of sight.” I love me some Merle Haggard. I’m in a good place for this game against LSU. War Eagle! SNL-alum Victoria Jackson, a one-year attendant at Auburn University, is writing for some blog called “Big Hollywood.” It’s right wing, like Jackson apparently. Her entries include “A LOVE LETTER (To Glenn Beck)” and “Cheetos (Poor People Need Fathers Not Government Programs).” It’s kinda weird and disjointed. And I’m scratching my head. Maybe I’m still sleepy. Someone needs to explore that one year of Victoria Jackson’s time at Auburn. What did she do here? Was she in the theater department? I need to comb through the Gloms. Cheerleader.. homecoming queen.. attended Florida Bible College; received a gymnastic scholarship to Furman University, attended Auburn University one year, and ended up in Hollywood, CA via summer stock in Alabama, where she met Johnny Crawford (The Rifleman) who promptly put her in his night club act and sent her a one-way ticket to the show-biz capital. *** That spring in your step last night? 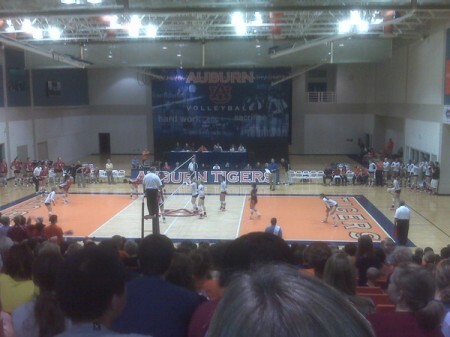 You guessed it – Auburn beat Bama in volleyball, beat them for only the second time since 1999. It’s like Bo went over the top or something.